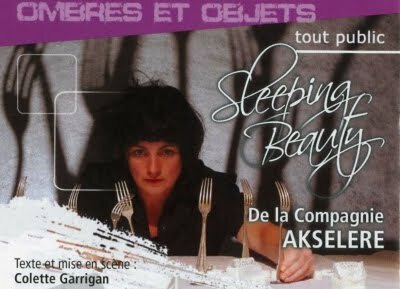 This would have to be the most unusual theatrical retelling of The Sleeping Beauty I've seen in some time. 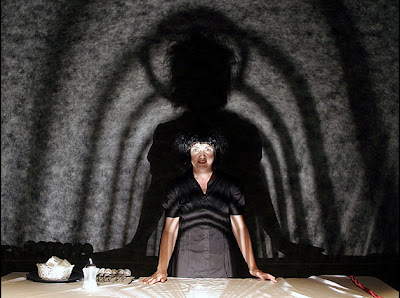 Perrault is credited as the source author while Liverpool-born, French artist and puppeteer Colette Garriger is the creator & main performer. The show is just arriving in the US now after an lengthy international tour, with performances scheduled from September 2010 on. At her birth they call her "Princess." Her fate is sealed. 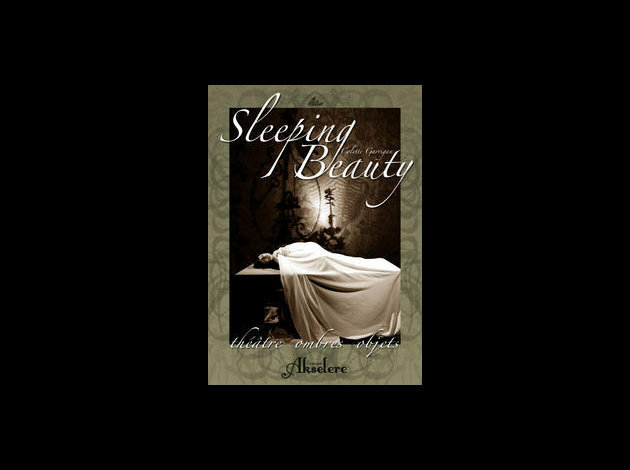 Left to her own devices and brilliant imagination, this modern day Princess pays off her debts and takes her skeletons out of the cupboard once and for all. 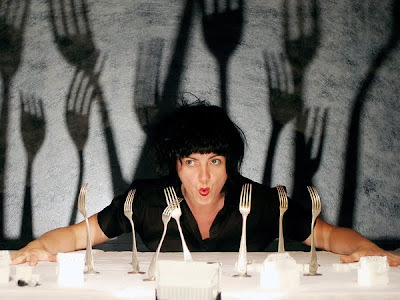 Now arriving in the United States after an international tour comes a creative retelling of the Briar Rose tale joining shadow puppetry, object theater, and passionate monologue into a hard-hitting story filled with dark humor. 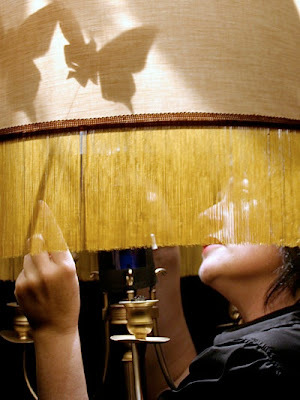 Created by Liverpool-born, French-transplant artist and puppeteer Colette Garrigan. This version of Sleeping Beauty is closer to a nightmare than a fairytale. A girl grows up in a poor family in Liverpool, England. She is the youngest of seven. Her father dies. She gets farmed out to her grandmother who locks her in the cupboard under the stairs. She steals and thinks it is so exciting to be going in a police car that she waves to all the people she knows. She meets boys who lead her astray. And she knows she is a princess and that prince charming will arrive - even if it is in the form of a medical miracle. From the mind of creator and puppeteer Colette Garrigan comes a passionate monologue with shadow puppets about the loss of innocence and reality versus fairytale. 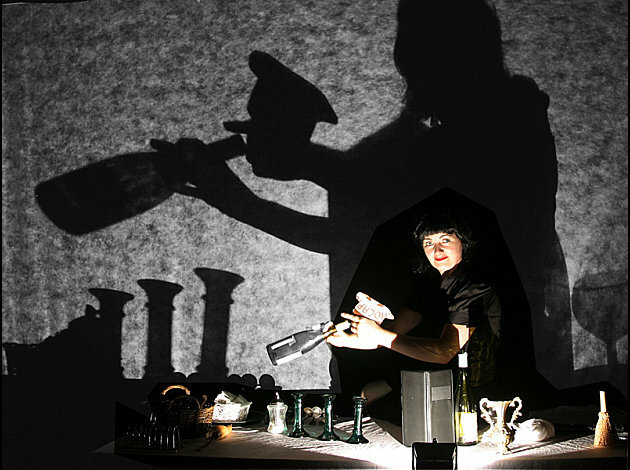 ... Garrigan is very much centre stage, and creates the shadow puppets primarily from herself and various unusual objects on the table in the centre of the stage. Forks become a forest, a toaster rack a shopping centre, all projected onto the white semi transparent screen hung at the back. This is not puppetry as most would know it, with only one brief scene using small hand operated puppets that are ingeniously fitted into a lampshade. You can read the whole article HERE and see more performance photos from the company site HERE.